Worship leader Dennis Jernigan picked up his love for music at a very young age and was even the regular pianists at his father's church by the time he was nine years old. 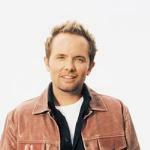 His first attempts at writing his own songs began twenty years ago in 1981, and 26 albums later (with more than a million records sold), Jernigan's songs remain staples in the worship community and in churches across the nation. One of Jernigan's most beloved worship songs, "I Stand Amazed," is also one of his most personal, he says. He remembers the exact date the song was written (or "received," as he calls it), on April 14, 1991, just twelve years ago. "This song was born out of incredible pain," Jernigan recalls. "I can honestly say that 1991 was one of the worst years of my life, yet one of the best. I was facing some tough personal decisions which ultimately brought me to the point of sharing my story of redemption from homosexuality on a much broader scale and also a time when God really began pushing me out of the nest of my comfort zones." It was during this time Jernigan says he began to feel God's calling for him to reach out across the nation and share his experiences in an effort to lead others into intimacy and healing through worship. It was, he says, God's redemption that he was compelled to talk about. "This song was an expression of the amazement I felt at a God who would bring me through my greatest shame and failures and use those very pains and failures to bring glory to His Son, Jesus Christ," Jernigan shares. "This is why-in spite of all the wounds I have felt, in spite of all my sin-I have unashamedly stood for Jesus Christ just as Jesus Christ has stood faithfully with me. I thank the Lord for sustaining me. And I really am amazed at how much He loves me. "'I Stand Amazed' is a personal anthem that reminds me of the work of the cross, the cleansing power of the blood, and the resurrection power God made available to me, even though it was my sin that caused Him to have to endure the cross," Jernigan continues. "I am so amazed at the depth of love He has for me. I learned a long time ago that the quicker I get off the throne of my heart and simply receive His love, the quicker healing comes to the wounded places of my life. I do not get to decide if God loves me, when God loves me or how God loves me. To get in on that love, I must simply receive it." The songwriting craft could have been completely overlooked by Jernigan, had he listened to the advice of a college professor who discouraged him from pursuing it as a creative outlet. "He told me they saw no songwriting potential in me, so I was not allowed into the theory and composition department," Jernigan explains. "But it simply made me that much more determined to write down what I felt and heard." A friend's dream later triggered what Jernigan refers to as "the overflow and beginning" of his own songwriting process. "He called me in 1981 and told me God had come to him in a dream and that the Lord was giving me hundreds of songs and we were all singing them in worship to Him. And his mother had the same dream. When I heard this, encouragement flooded through my soul and the floodgates opened, and I have not stopped since!" Jernigan says each song comes to him in different ways, but his process is to simply be available to God. Keeping pen and manuscript paper on hand at all times, he is constantly singing and writing down what he says he hears back from God. "As Psalm 45:1 says, 'My tongue is the pen of a ready writer,'" says Jernigan. "I honestly just try to converse with God in song. I sing to Him, and He sings to me." Jernigan is currently in the planning stages of a new television show with FamilyNet. The program will feature live worship and ministry, including some behind-the-scenes glimpses of Jernigan's life. Additionally, he is planning an album of duets with other artists and working with friend Ron Luce on the worship ministry of the Teen Mania youth missions organization.